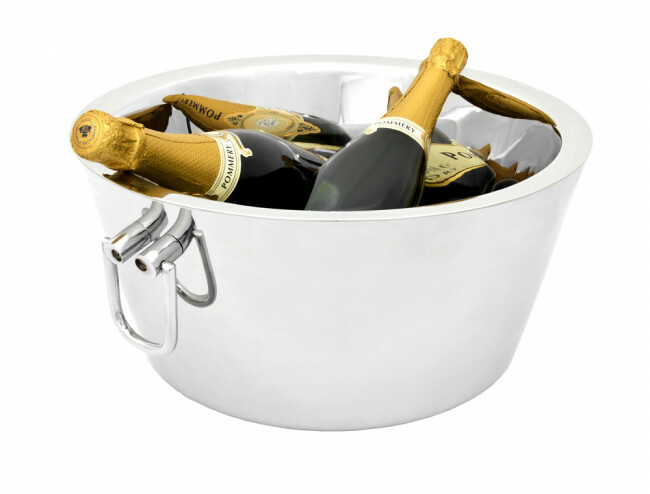 Champagne bottles stay cool much longer in this double-walled stainless steel champagne bowl. 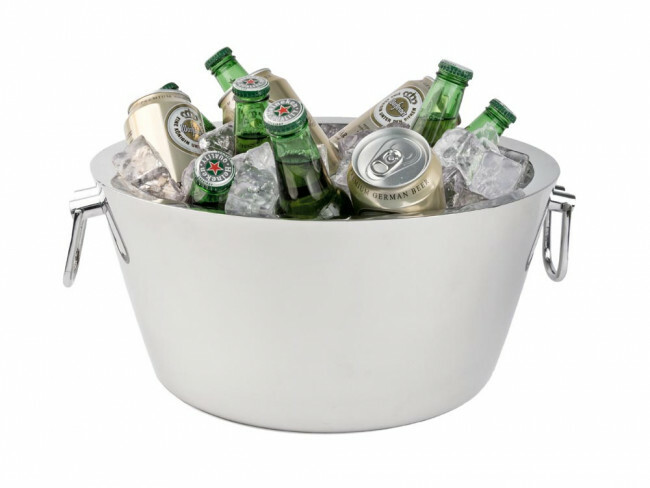 With two handles. 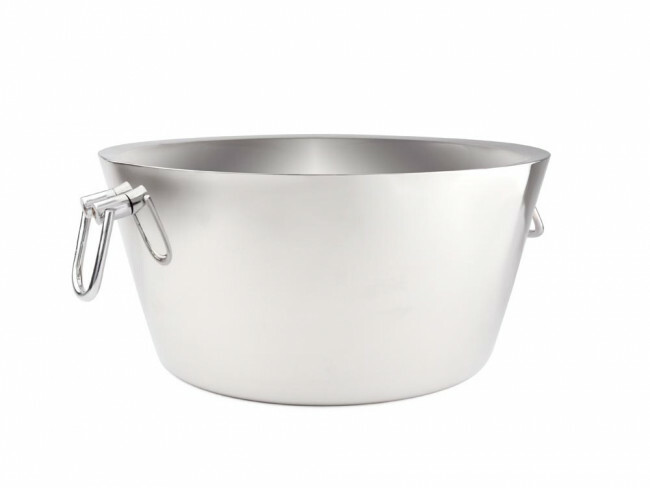 The bowl is made of polished stainless steel.